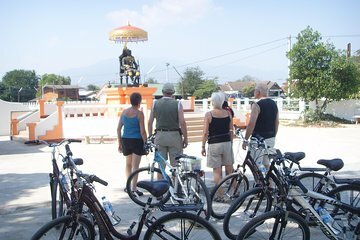 Pedala attraverso la pittoresca campagna di Chiang Mai e vivi la cultura locale con un tour in bici guidato di 4 ore. Scopri l'eredità religiosa della Thailandia in un piccolo tempio buddista e visita un'ex colonia di lebbrosi che ospita le persone con disabilità fisiche. Guarda una scuola elementare che serve le tribù collinari della regione, poi guarda gli artigiani locali che modellano la ceramica in uno studio tradizionale. Regola un ritmo rilassato mentre passi campi di riso e un fiume dolce, con un sacco di pause per gustare prelibatezze locali, bevande fresche e un leggero pasto tailandese. The tour route was pretty good, guide was nice but the owner wasn't. Most of the people on the tour with me were Dutch and the owner of these tours was too. I arrived and he starting speaking Dutch to me, then I said I don't understand and I thought that he would speak English from here on. The rest of the tour arrived and they were all Dutch, so he switched back to Dutch. When he was offering out the bikes in Dutch he finally offered me my bike and spoke to me again in Dutch. I got a bike then asked if I could get a bike with better brakes as they were quite bad, he adjusted the brakes then quipped at me asking if I had ever cycled before. Finally when the guide arrived she spoke English and I felt much better, relieved that I hadn't accidentally booked the Dutch speaking tour. I recommend the cycling part with a friend to join, you see some really nice parts of south Chiang Mai - definitely off the beaten track. However the owner seemed very rude to me. After making our way to the tour office we picked up our bikes and helmets and received some brief instructions from our guide Wei. Bikes were of a high standard and the guide was very knowledgeable. We visited temples, a leper colony and heard fantastic stories and facts from our guide. We also rode to see some rice paddies and to a local bakery where we had a cake straight out of the oven. Lunch was a traditional chicken curry at a local restaurant. All in all this was a fantastic tour and great way to see Chiang Mai from a local perspective outside of the city area. This was the highlight of my stay in Chang Mai! 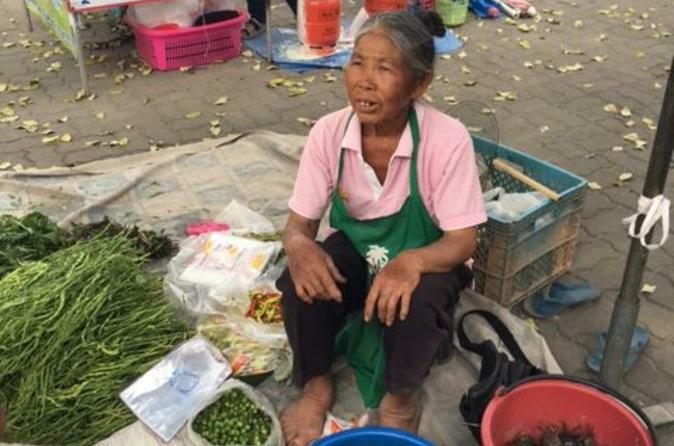 I learned so much about local tradition, sites and history. only regret was taking the half day instead of the whole day! Our guide was great. She was knowledgable and very engaging.